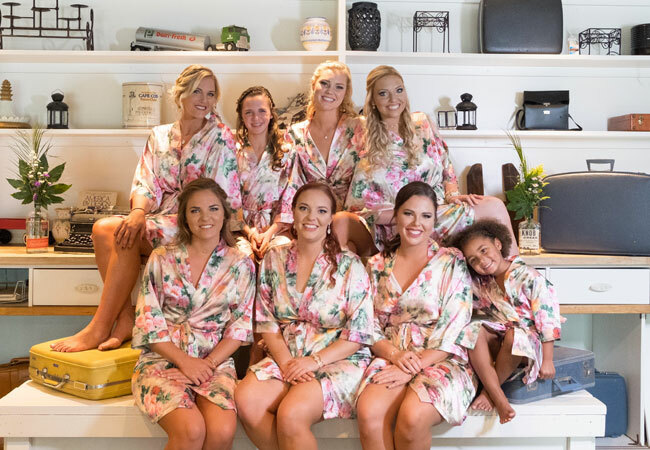 After meeting on a canoe trip, Katie Meinhart, owner of Six Sisters boutique in NuLu, and Sam Rouster planned a perfect, beach-chic destination wedding with guess how many bridesmaids. They actually have an interesting answer to the age-old question, “How did you two meet?” “Sam and I met on a blind date, Ca-brewing with our Crossfit gym,” says Katie Meinhart, owner of Six Sisters, a funky women’s clothing boutique in NuLu. 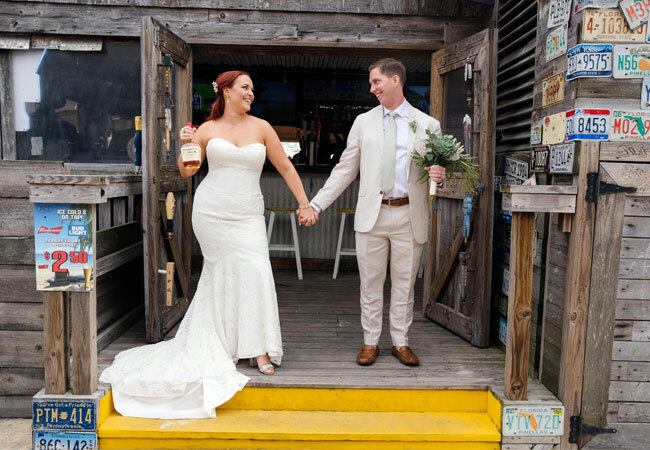 “I was new to the gym and they set us up in a canoe together for an entire day of drinking on the Blue River.” While life intervened and the two didn’t go on another date until September, once they did, “It was history,” she says. 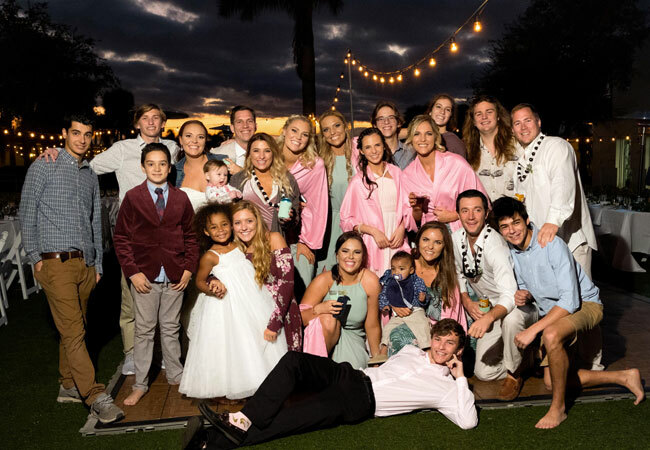 They quickly settled on the idea of New Year’s Eve eve 2017 in St Petersburg, Florida—a year and a half long engagement. That gave them time for Katie to squeeze in the achievement of another dream: opening her own boutique. “After years of managing stores, I felt ready. The space in NuLu opened up and as soon as I saw it, I was all in,” she says. 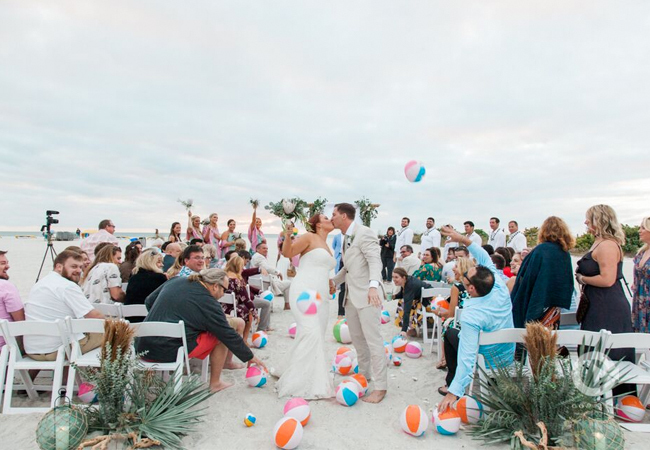 Their rehearsal dinner set the laid-back tone with a taco bar and smores on the beach. 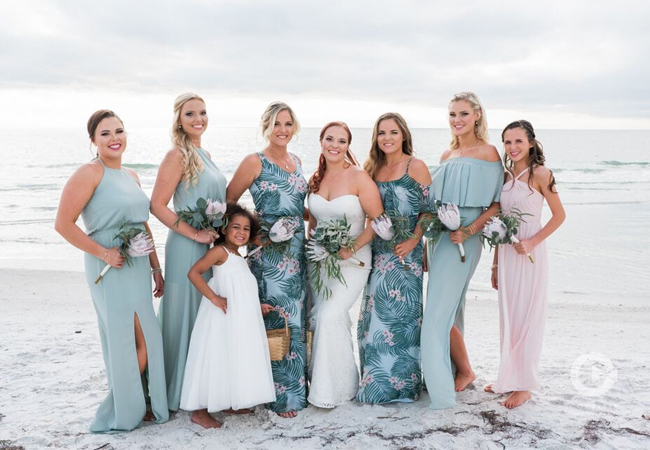 “In terms of my rehearsal dress, I went above and beyond, but it’s what I felt good in, so of course I wore it! 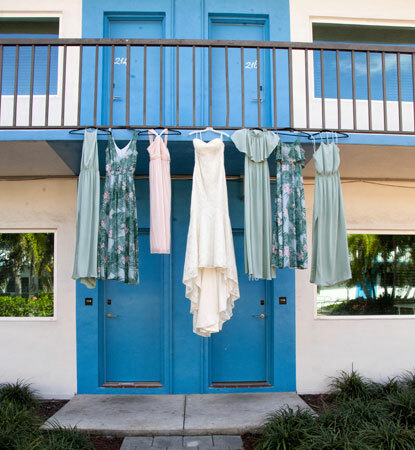 People literally told me I could have gotten in my rehearsal dinner dress, and it is almost as pretty as my actual wedding dress,” says Katie.